Michael Cimino is one of the most controversial filmmakers to emerge from the New Hollywood era of the 1970s. Known for creating visually striking films, Cimino has the uncanny ability to keep the subject matter contained despite painting on a wide canvas. His name is synonymous with both success and failure. He went from being revered for making the Academy Award-winning Vietnam War film The Deer Hunter to being considered a pariah with the release of Heaven’s Gate a few years later. Some even placed the bankruptcy of United Artists squarely on Cimino’s shoulders. While there has been conflicting stories regarding his past, it has been reported that Michael Cimino was born on February 3, 1939 in New York City. His father was a music publisher and his mother worked as a costume designer. Considered a gifted student for most of his early school years, it was during his time at Yale that Cimino’s interested in films grew. Through observing the films of John Ford, Akira Kurosawa and Luchino Visconti, he learned both the visual language and the sprawling approach to storytelling that cinema had to offer. Following his graduation from Yale, and his brief service in the U.S. Army reserve, Cimino returned to New York City where he spent much of the 1960s directing commercials. Despite the brilliance of the commercials he created, not everyone liked his very meticulous approach to directing. After being encouraged by Joann Carelli, one of his earliest collaborators, to move to Los Angeles in the early 1970s, Cimino secured a job co-writing the science fiction film Silent Running with Steven Bochco and Deric Washburn. He then teamed up with John Milius to pen the script for the Dirty Harry sequel Magnum Force. It was through his work on Magnum Force that Cimino caught the eye of Clint Eastwood. When Cimino showed Clint Eastwood a spec script for a heist film involving a Korean War veteran and a young drifter, Eastwood originally wanted to direct piece. However, since Cimino had a distinct look in mind, it was agreed that Cimino would direct and Eastwood would play the lead in the film. With a budget of $4 million, and a cast that included Jeff Bridges, Geoffrey Lewis and George Kennedy, shooting began in July of 1973 in Montana. 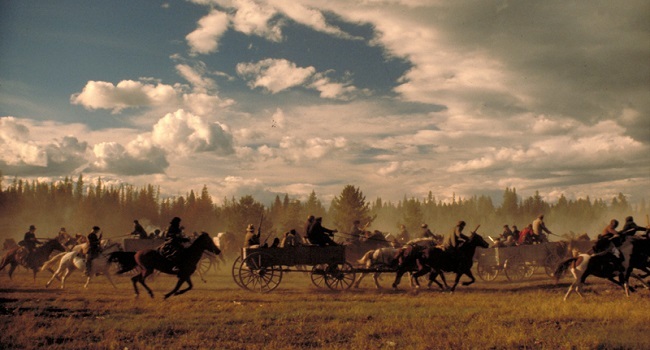 Filming in Montana was a dream for Cimino as he loved the vastness of the location. Though Eastwood forced Cimino to do a few takes which directly contrast Cimino’s more meticulous style, Cimino was still able to get his ideas about rebellion and loyalty across. This was especially true to in regards to his approach to documenting the fallacies that come with the notion of the American dream. 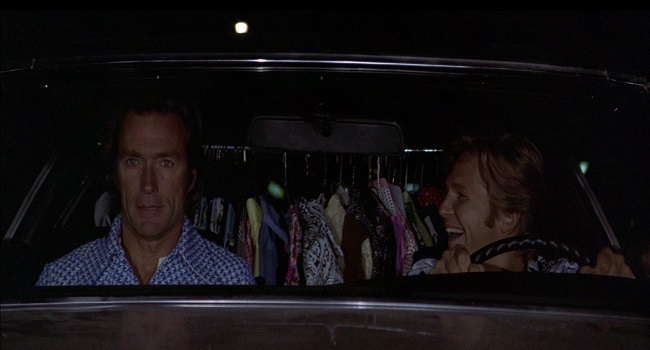 Thunderbolt & Lightfoot was released in May of 1974 to excellent reviews. The film collected $25 million at the box office and Jeff Bridges received an Oscar nomination in the Best Supporting Actor category. Eastwood wasn’t happy with the way the film was promoted and eventually severed the ties between his production company, Malapaso, and United Artists. The success of Thunderbolt & Lightfoot gave Cimino his choice of possible projects to helm. After meeting producer Michael Deeley, Cimino became intrigued by the idea of tackling a film based on a spec script by Deric Washburn. Though the original story was about people traveling to Las Vegas to play Russian Roulette, Washburn and Cimino decided to change the script and set it around the Vietnam War. The Deer Hunter follows three men who leave their life in a Pennsylvania steel mill town to fight in the Vietnam War only to return changed and destroyed by their experience. Cimino enlisted the services of renowned Hungarian cinematographer Vilmos Zsigmond to give the film a sprawling feel. For the film’s cast, Cimino picked Robert de Niro to play the lead role of Michael Vronsky and filled out the rest of the cast with Christopher Walken, John Savage, Meryl Streep, George Dzundza, and John Cazale. Battling cancer for much of the shoot, producers were pushing Cimino to remove Cazale from the project. When Cazale’s then-girlfriend and co-star Meryl Streep threatened to leave the production if Cazale left, de Niro step in and paid Cazale’s insurance fees. For his part, Cimino decided to shoot all of Cazale’s scenes first before the actor ultimately passed away in March of 1978. After taking months shaping the film with editor Peter Zinner, and enduring numerous battle with the studio over the length, the film was finally released on December 8, 1978. 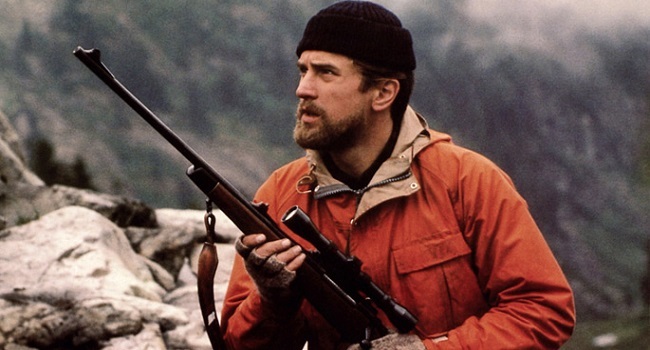 Opening to rave reviews, The Deer Hunter went on to win five of its nine Oscar nominations in the Best Picture, Best Editing, Best Sound, Best Supporting Actor, and Best Director categories. 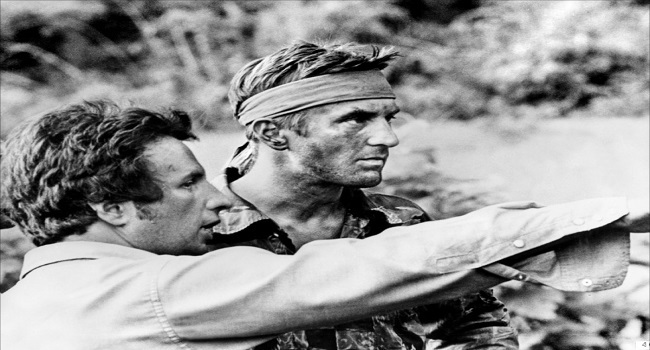 Despite the reputation he gained during filming, for being a uncompromising perfectionist, the critical and commercial success of The Deer Hunter changed Michael Cimino’s status in Hollywood. He now had the ability to choose any project he wanted. Michael Cimino used his new found clout to make a project that he had wanted to make for years. Based on the real-life Johnson County War in Wyoming, Heaven’s Gate explored the ugly side of the American Dream as it documented the clash between European immigrants and rich American ranchers. The divide between small settlers and large ranchers intrigued Cimino, especially since it played into many of the mythological notions associated with the Wild West. Despite having a cast that included Christopher Walken, Kris Kristofferson, Jeff Bridges, Isabelle Huppert and John Hurt, the infamous production problems overshadowed the film. Cimino’s meticulous approach to filmmaking, including his instance that the sets look a certain way, led to many delays in production. Cimino’s desire for numerous takes and re-shoots gave him a reputation of being a very difficult director to work with. The film’s original $12 million budget ballooned to $30 million by time shooting finally finished. Cimino presented a five hour and twenty-five minute cut of the film to United Artist, who were furious with the results. The studio worked with the film’s editors to produce a 219 cut of the film for its November 19, 1980 release. A day after its premiere, Vincent Canby’s scathing review set the tone for the majority of reviews that began pouring in from critics. The film was pulled after only being theatre for a week in order for Cimino to work on a slimmer 149-minute cut. Though the film was well-received at the 1981 Cannes Film Festival, Heaven’s Gate made only $1.3 million in its box office against its final $44 million budget making it one of the cinema’s greatest flops. The failure to stir up much interest commercially had reverberations within the industry, including rumors that it bankrupted United Artists. The film also damaged Cimino’s reputation as he was treated like a pariah for the rest of his career. Following the ugly reception over Heaven’s Gate, Cimino’s directorial options were slim at best. After several setbacks, including being attached to films such as The Pope of Greenwich Village and Footloose, Cimino was asked to adapt Robert Haley’s controversial novel Year of the Dragon. The story focuses on a New York City police captain who wages a war against the Chinese triads. Aware of the demands to the get project moving quickly, Cimino asked Oliver Stone to help him in writing the screenplay. Stone’s contributions proved useful in several ways as it gave Cimino the chance to meet famed Italian film producer Dino de Laurentiis. Though the three picture deal that Cimino and de Laurentiis agreed on seemed like a good idea at the time, it ultimately became a union that Cimino eventually regretted. With funding taken care of, Cimino moved quickly to secure his casting. He asked Mickey Rourke to star in the lead role of Stanley White and got then newcomer John Lone to play the role of the antagonist Joey Tai. Rourke and Lone perfectly captured the uncompromising, and destructive nature, of their characters. The rest of the cast included character actors like Victor Wong, Raymond J. Barry and Dennis Dun. With David Mansfield on board to do the film’s music, Cimino got the services of British cinematographer Alex Thomson and Francoise Bonnot to shoot and edit the picture respectively. The production turned out to be a smoother experience than Cimino’s previous film as he finished it on time and on budget. Year of the Dragon was released in August of 1985 to mixed reviews. One of the film’s fans was Stanley Kubrick who was impressed by the realism of the set design. While some praised the film for its visuals and action, others were critical of the violence and racial content. Though the film only made $18 million at the box office, it did receive a Golden Globe nominations in the both the Best Supporting Actor and Best Original score categories. After Year of the Dragon was released, Cimino was approached to helm an adaptation of Mario Puzo’s novel about famed Sicilian bandit Salvatore Giuliano. Cimino gathered his collaborators from his last film to work on The Sicilian and casted Christopher Lambert in the lead role. John Turturro, Joss Ackland, Ray McNally, Barbara Sukowa, Terence Stamp, and Giulia Boschi all appeared in supporting roles. Gore Vidal was called in to re-write Steve Shagan’s screenplay, but his work was un-credited since Vidal was not a member Writer’s Guild of America at the time. 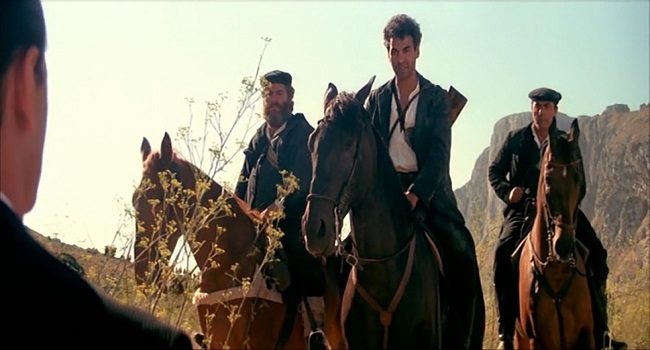 Shooting began in April of 1986 in Sicily but the production faced several obstacles including equipment issues and encounters with low-level Mafia figures in the region. Still, Cimino managed to overcome those roadblocks to create a film that was vibrant and operatic in scope. In many ways Cimino was paying homage to the Italian filmmakers he loved like Luchino Visconti, Sergio Leone, and Bernardo Bertolucci. Though his contract stated that the running time was to be two-hours in length, Cimino’s original cut of the film ran 146 minutes. This resulted in a lawsuit between the producers and Cimino over the final cut of the film. 20th Century Fox wanted to release a two-hour cut of the film and Dino de Laurentiis testified that he never gave Cimino final cut authority. Though Cimino lost the suit, he was able to get his uncut version released in Europe while the shorter version played in the U.S. Released in October of 1987, The Sicilian drew very negative reviews and underperformed at the box office. While there were a few American critics fortunate enough to see, and praise, the uncut version, the overall negative reception and the lawsuit only added to Cimino’s troubled reputation. Saddled with a reputation in need of repairing, Cimino decided to helm a remake of the William Wyler’s 1955 film Desperate Hours. Based originally on the novel and play by Joseph Hayes, the story revolves around an escaped convict who takes a family hostage in their home while waiting for his lover to arrive and take him to Mexico. What starts off as a simple hostage taking evolves into a battle of wits between the criminal and the patriarch of the household. 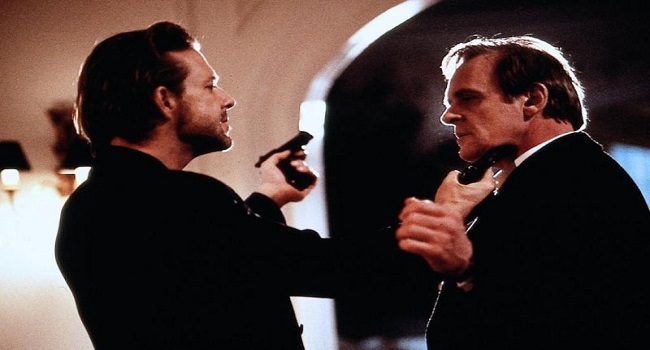 The film reunited Cimino with Mickey Rourke, who played the role of escaped criminal Michael Bosworth. British actor Anthony Hopkins was cast as Tim Cornell, the unfaithful patriarch of the Cornell clan. The rest of the cast included Mimi Rogers, Kelly Lynch, Shawnee Smith, Danny Gerard, Elias Koteas, David Morse, and Lindsay Crouse as the FBI agent Brenda Chandler. Much of the production took place around the suburbs, rivers and mountains of Utah. With the exception of David Mansfield, Cimino decided to work with an entirely different crew behind the scenes. One of his new collaborators was British cinematographer Douglas Milsome who was coming off his acclaim work on Stanley Kubrick’s 1987 film Full Metal Jacket. Milsome’s photography added a rich texture to the increasing tension between Bosworth and Cornell. Desperate Hours made its premiere in October of 1990 to a lukewarm reception from critics and a poor reception at the box office. 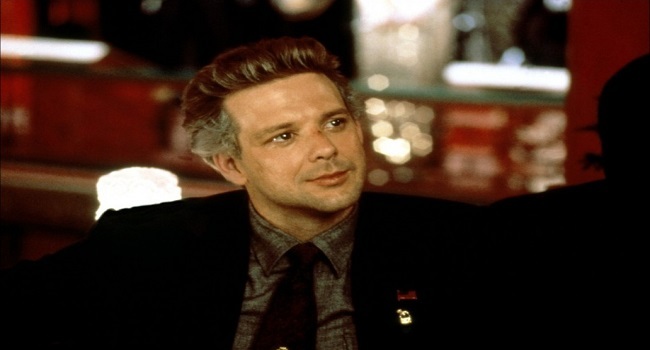 Not only did the film mark Cimino’s last venture with Dino de Laurentiis, but it also ended his relationships with both Mickey Rourke and David Mansfield. Desperate Hours became the last Cimino film to get a theatrical release in the U.S.
With Hollywood not wanting anything to do with him, Cimino struggled to get work. His fortunes changed when he was approached by renowned producer Arnon Milchan to helm a film by screenwriter Charles Leavitt. 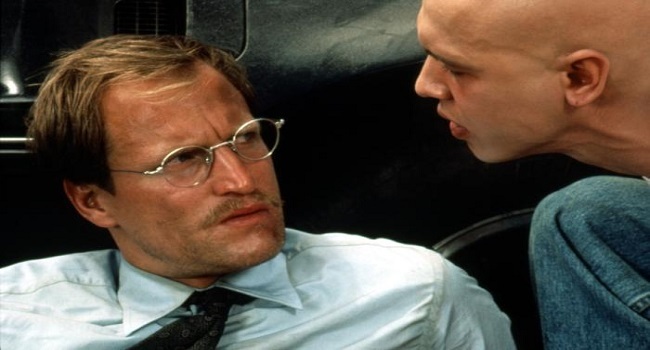 The Sunchaser told the story a rich doctor, Dr. Michael Reynolds (Woody Harrelson), who is kidnapped by a 16-year old half-Navajo juvenile delinquent, Blue (Jon Seda), who happens to be dying of abdominal cancer. Knowing he only has limited time to live, Blue forces Dr. Reynolds to drive him to a mountain lake considered sacred by the Navajo people. Cimino was instantly drawn to the film because it provided him with the chance to shoot in the American West again. Just as things were looking promising, funding for the film was suddenly taken away. While Cimino was able to make it through the shooting, his erratic behavior became more noticeable to the cast and crew. The Sunchaser made its premiere at the Cannes Film Festival in 1996, but failed to make any waves at the festival. Poor test screenings resulted in the film getting a straight-to-video release. The negative reception marked a bittersweet end to Cimino’s career. 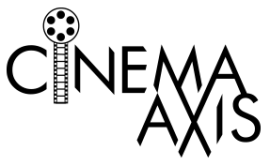 To celebrate the 60th Anniversary of the Cannes Film Festival in 2007, Cimino was asked by festival organizer Gilles Jacob to be one of several filmmakers to make a three-minute short film about cinema. Cimino’s short focused on a filmmaker trying to make a film about a Cuban band. Cimino wanted to play off his reputation of being an egomaniac in a comical fashion. He achieved this by showing the filmmaker getting harassed by the diva lead singer of the band. The segment, unfortunately, was considered one of the worst of the bunch as it only showcased how detached Cimino had become from the film world. Cimino spent much of the 1970s and 1980s doing un-credited screenplay work on films such as The Rose starring Bette Midler and The Dogs of War starring Christopher Walken. Many of the film that Cimino wanted to direct never came to fruition due to the notoriety he got over Heaven’s Gate. He was attached to projects such as Born on the 4th of July and Michael Collins but eventually lost out to Oliver Stone and Neil Jordan respectively. The latter took over for Cimino after he left the project due to budget issues. There were also numerous collaborations Cimino did with Raymond Carver including a Dostoyevsky bio-pic and a contemporary Western. Cimino also worked with James Toback on a bio-pic about Frank Costello for 20th Century Fox that never came to fruition due to management changes. Another major project that almost got off the ground was a contemporary romantic drama called Santa Ana Wind but financing fell apart. The most recent project of Cimino’s that remained grounded was an adaptation of Andre Malraux’s novel Man’s Fate, about the early days of the Chinese Revolution from the perspective of Europeans. The project had all the traits that were considered to be hallmarks of Cimino’s work, but its overall lack of commercial potential forced the project to go into limbo. It has been nearly seven years since Michael Cimino stepped behind the camera, and eighteen years since he last directed a feature film. With his works now being re-evaluated by critics, many wonder if he will ever helm another film. To this day filmmakers like Quentin Tarantino and James Gray acknowledge Cimino as a major influence. While there is no question that Cimino is partly responsible for his reputation, it is time he was given another chance to showcase his talent. Cimino makes the kind of provocative films that cinemas are lacking nowadays. He is a director who, despite playings by his own rules, brings both style and substance together in a way that is truly epic. Outstanding tribute to a fine filmmaker.